No player should play more than half the game in goal. Prior to taking a goal kick, the opposing team must retreat behind the shooting line/Retreat line. The team taking the goal kick can only have players in the newly created free space to receive the ball. Players must be allowed to receive the ball before play can restart. There will be no offside at the mid field line like a regular game. Players will now only be considered offside if they are past the shooting/retreat line. No Throw-In’s will be used. Play will restart from the sidelines with a kick-in. The ball must travel on the ground and be played within 7 seconds. Opposing team must retreat back, creating a free space. An indirect free kick will be awarded to the team who did not head the ball. If the ball is headed by the defending team in their own penalty box, the ball will be moved to the nearest shooting/retreat line. 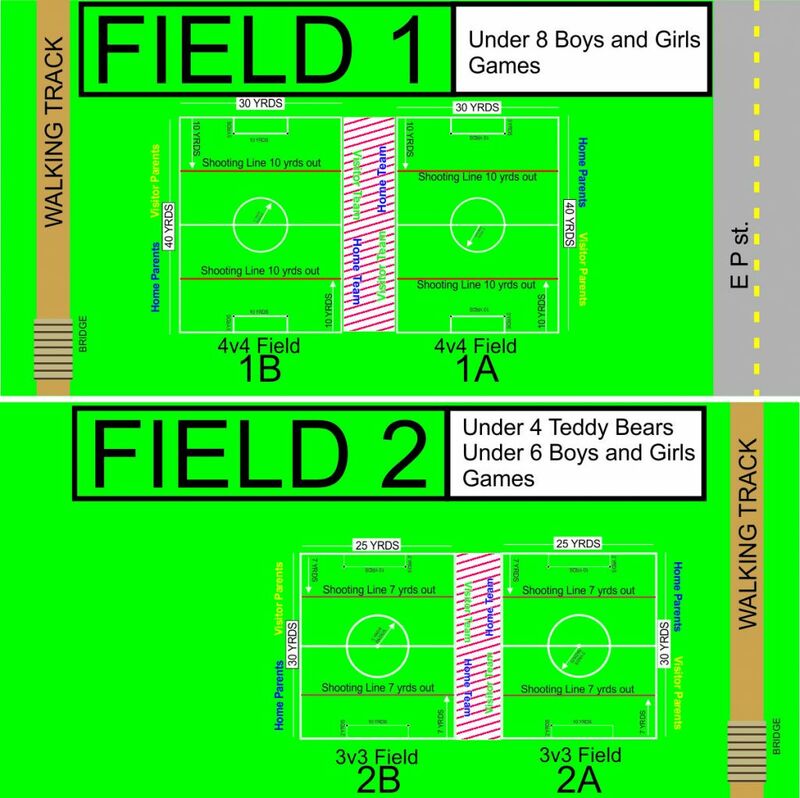 (This is in coordination with the US soccer mandate to restrict heading at younger ages. If one team is running up the score, the team that is losing may add one or two extra players in an effort to balance the teams. A second player (any player) must touch the ball before it crosses the goal. Substitutions can be made "on the fly" as well as during game stoppages. Use common sense.